This post at Sew, Mama, Sew! asks us to share our thread stashes. Since I've never really thought of my thread in "stash" terms, I found this to be an interesting exercise. 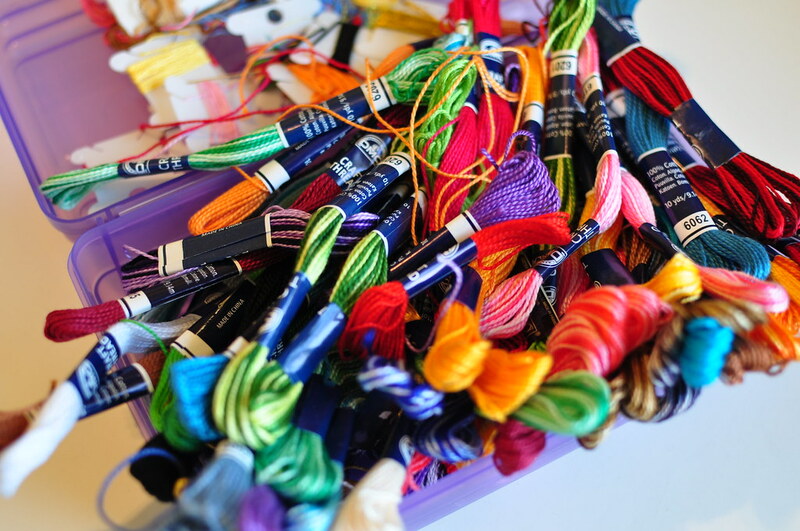 How did you select colors for your personal thread collection? 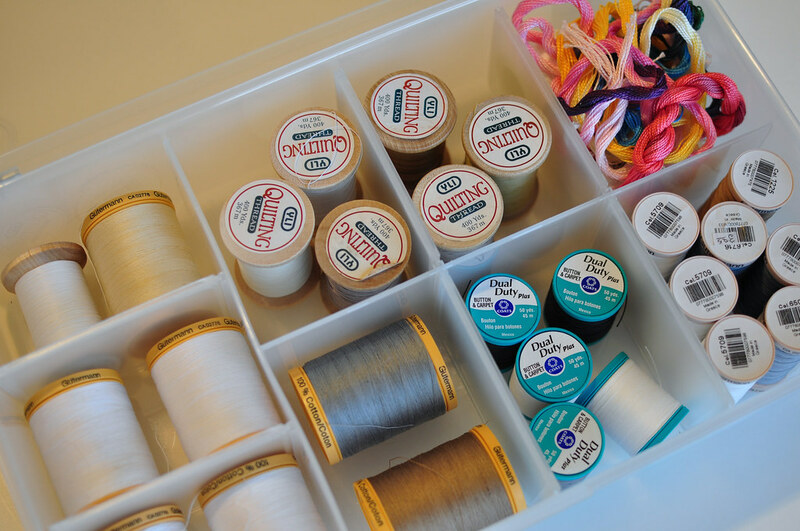 I buy thread for specific projects and stock up on basic threads I use regularly for quilting. I've also acquired some threads in large assortments such as the Ebay find above. Do you always match the color perfectly to your project? Yes, I try to match my fabric perfectly. If I can't match the fabric exactly, I go a little darker. Do you ever use contrasting thread? In clothing and machine quilting, usually not. In hand quilting, yes. 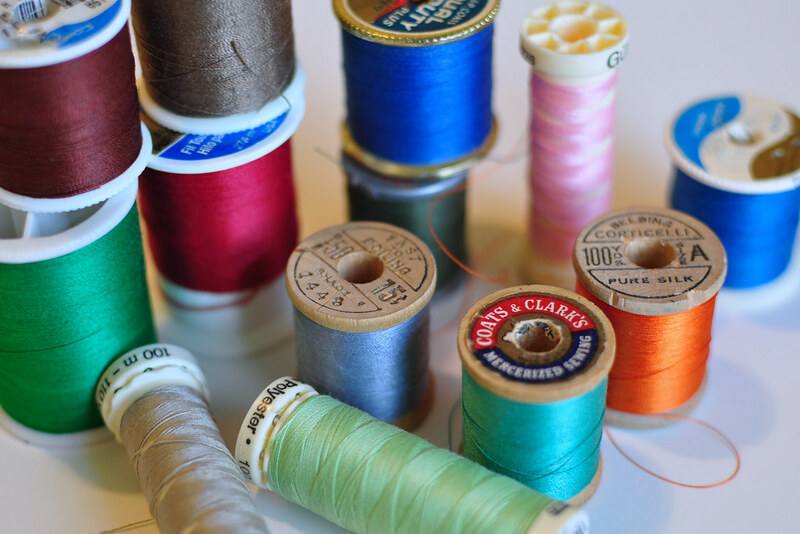 Do you use the same color in the bobbin as the upper thread? Almost always, yes. What if a fabric has big areas of very different colors? I try to match the predominant or background color and don't worry about it. 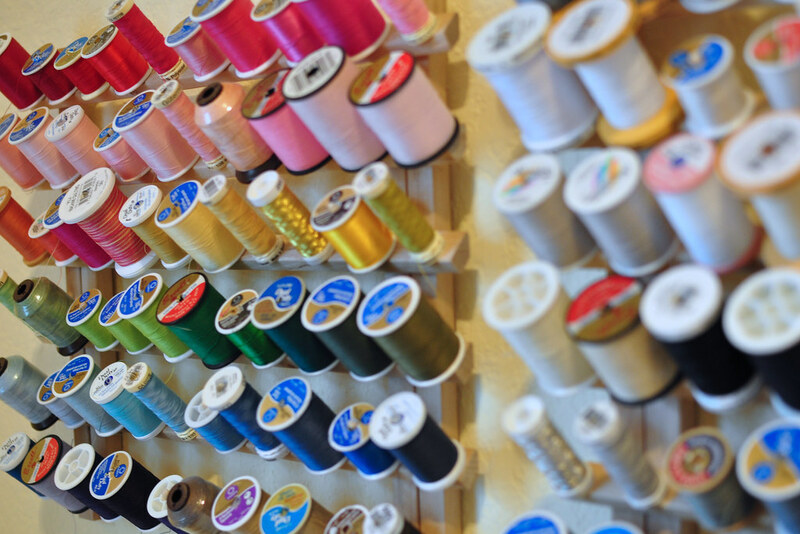 Do you have any tips or suggestions about choosing thread? 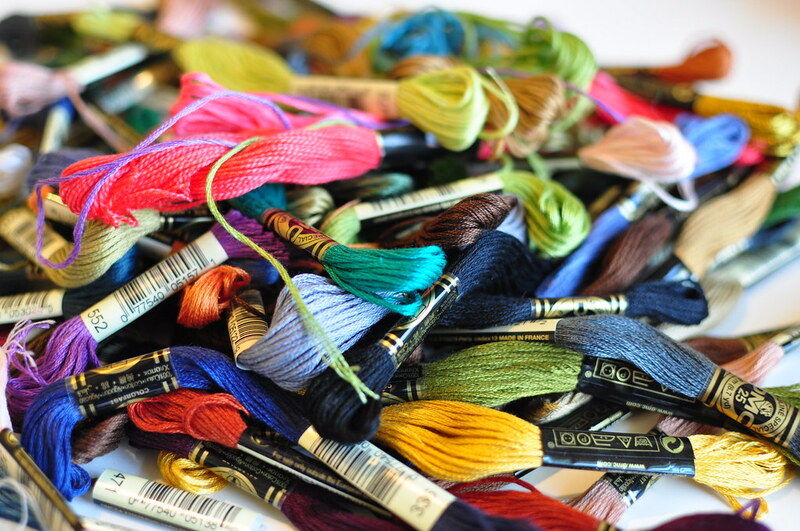 Purchase quality thread and if you can't match your fabric exactly, choose a thread one shade darker. 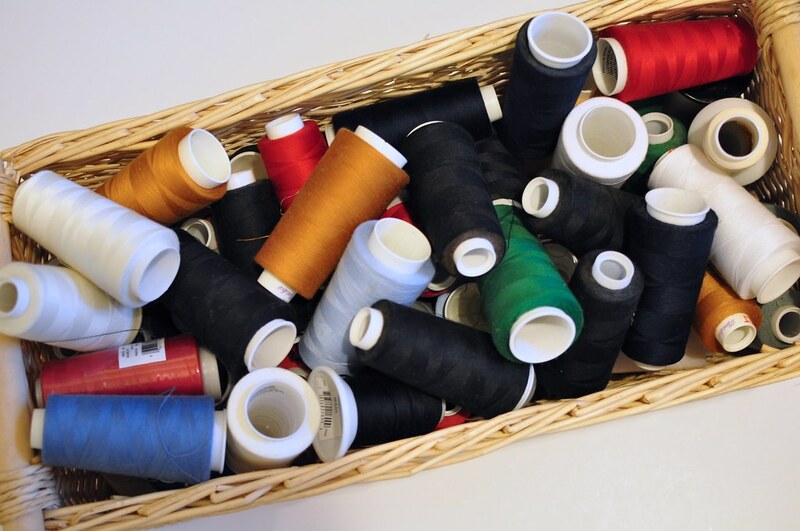 Can you show us a picture(s) of your thread collection? Yep. 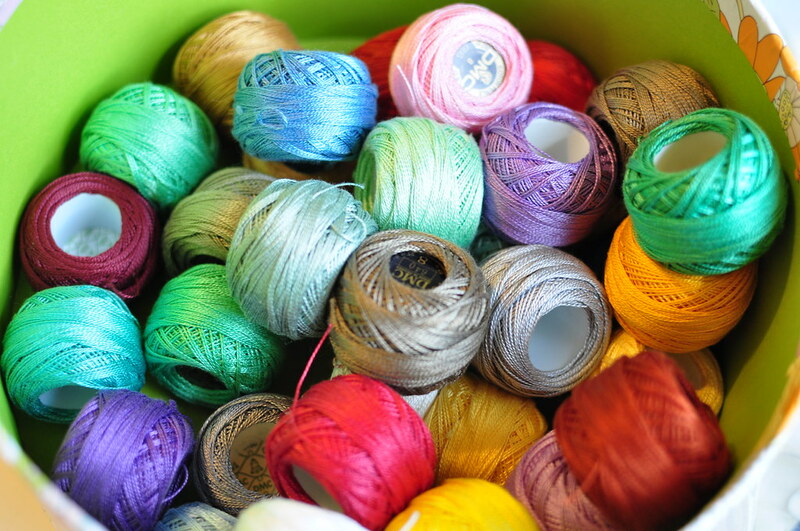 Do you ever buy thread because you fall in love with the color (without a particular project in mind)? No, I don't remember ever buying thread just because I liked the color. Do you “invest” in thread? I don't "invest" in thread, but when it's on sale (50% off at Joann), I stock up on neutral cotton threads for machine quilting and hand quilting. I also buy YLI quilting thread when I find it since it's hard to come by and I love it. What types of thread do you have? All purpose cotton covered polyester for clothing, machine quilting cotton thread, hand quilting glazed cotton thread, upholstery thread, button thread, elastic thread, monofilament thread, rayon decorative thread, metallic thread, topstitching thread, serger thread, cotton perle thread (sizes 5, 8, and 12), embroidery thread, craft thread, and a few spools of vintage thread that belonged to grandmother. Fun! Thanks for sharing. I decided against doing a post for Sew Mama Sew because I have so little. I think I need to take advantage of Ebay for some perle cotton! Now there is an issue that I certainly have a lot of!! I have a whole thread wall. But I suppose that comes with the territory of being a long arm quilter. But I have it organized by color and it makes my heart sing. I love you stash of threads. Colorful, just how I like it and mix of a little bit of everything! Also thanks for the heads-up on ThreadArt. I just ordered 29 spools of perle cotton on sale for 89 cents a piece!! Now I know who to come to when I have questions about thread! 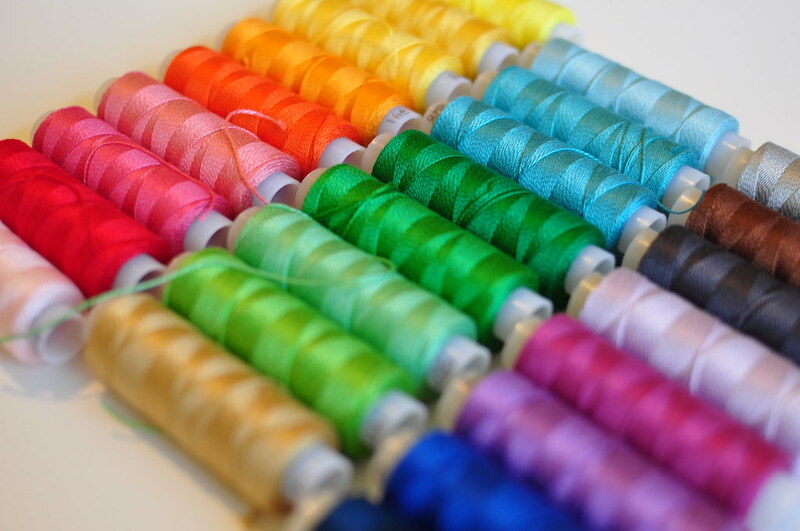 Gosh, you make thread so pretty! I honestly haven't thought that much about thread until recently, when I started getting into hand sewing. Thanks for all the info. I love all the brightly colored threads!